Akwa United coach, Abdul Maikaba is delighted to have been appointed head coach of Nigeria’s U17 national team without applying for the job. 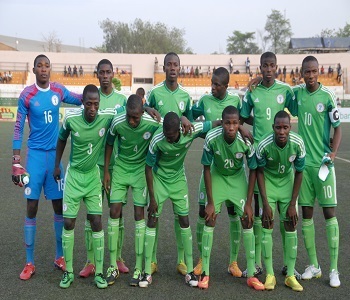 The Nigeria Football Federation (NFF) at the weekend named Maikaba as the head coach of the Golden Eaglets and will be assisted by Niger Tornadoes coach, Abubakar Bala, radio journalist Bunmi Haruna and Osun United goalkeeper trainer, Baruwa Abideen. Maikaba, who applied for the Flying Eagles job, said he will serve with courage and discipline. “I expected the coaching job but never expected to be named as the U17 head coach. I actually applied for the U20 coaching job. “However, I can willingly serve my country in whatever capacity she deems me fit. Of course I’m a happy man being assigned the responsibility of managing the U17 team.” He told supersport.com. This will be Maikaba’s first official national team appointment. The Golden Eaglets are the most successful national football team in Nigeria, having won 5 World Cup titles.